We recently published a horror story (albeit a funny one) about our Editor-in-Chief’s experience with the “support staff” at Microsoft and Geek Squad. At one point an agent suggests that, prior to a full restart of the operating system, he back up all his files – perhaps the one intelligent piece of feedback he gets during the entire experience. He quickly acknowledges that “it had been a few months” since he had done that and gladly obliges. Because as terrible as it was losing his mind trying to fend off incompetence, that would have been nothing compared to losing everything else for no good reason; millions of memories, thousands of critical documents, hours of movies and music, all gone because, why, it’s kind of a nuisance to plug in an external hard drive for thirty minutes every few weeks? Now that’s a horror story, and it’s one that Backblaze has zero interest in hearing – to date, they have helped people store over 200 million GB of data, and recover over 10 billion files. For those of you who aren’t entirely comfortable with math, that’s A LOT. 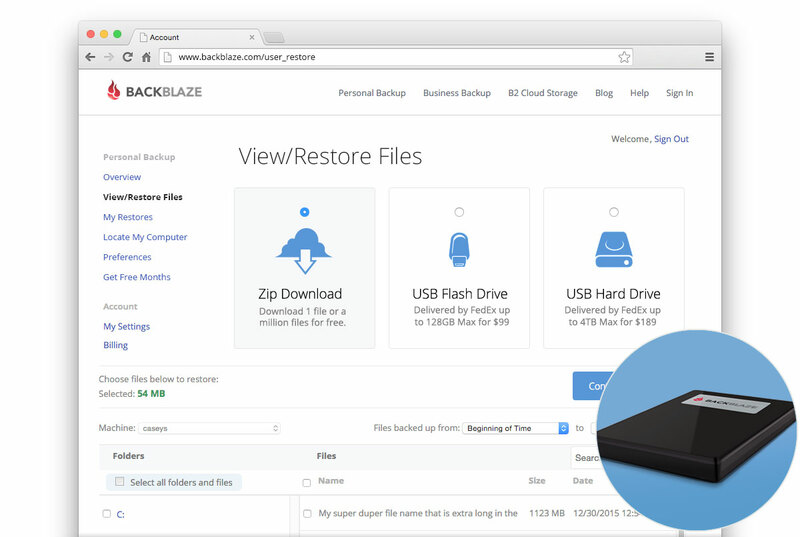 Backblaze is a cloud-based file storage system that enables anyone, from everyday web surfer to IT professional, to easily secure, access and restore their more valuable digital belongings. 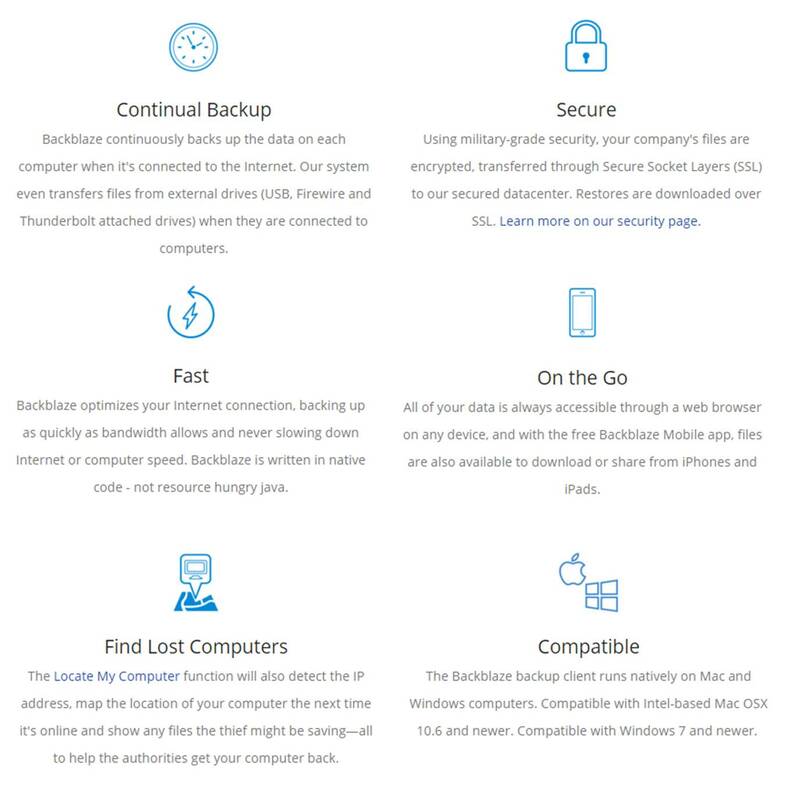 Being safe with Backblaze is also much more convenient than carrying around some clunky Terabyte drive; the service comes with a native Mac or PC app and an iOS or Android mobile app for file management, backup and download anywhere at any time. The backup procedure is also automated, so you never have to worry about remembering to do it yourself. Apologies again to all you arithmophobes, but where things get really juicy though, is in the numbers. For a Personal account, it’s only $5 per month – with options to pay $50 per year or $95 bi-annually – and the amount of data you can store is unlimited. If you’re supporting a company, Business accounts are $50 per year per computer, a fee that also includes unlimited storage space. If you are an IT professional or a Developer they even have an object cloud storage solution for you at 1/4 the price of other providers; only $0.005/GB per month. Which, accounting for gourmet honey-glazed and roasted varieties, is actually less than peanuts. Realistically, the only thing that can really screw up your plans is if someone just entirely pilfers your laptop? Unless, of course…they’ve thought of that too? Right. Yup. They have. 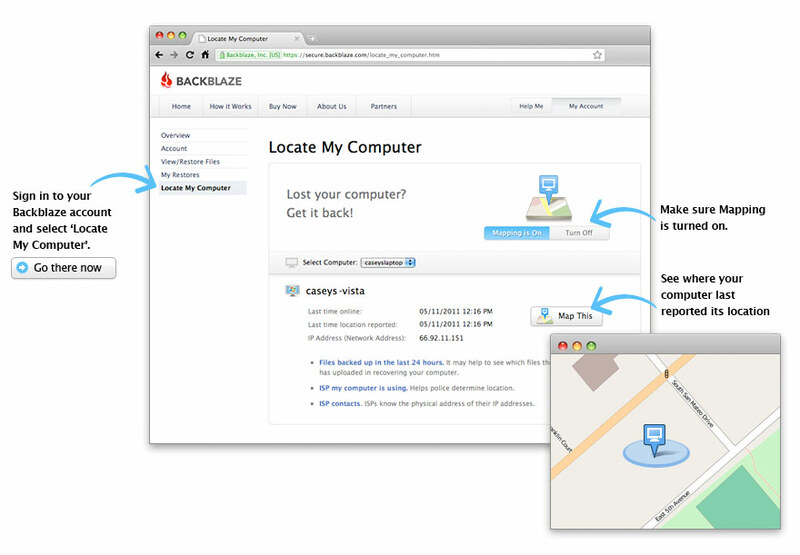 The Backblaze software maps and updates your connected computers location on an hourly basis, regularly records both the IP address and ISP your laptop is using, and of course allows online access to view any new files that have been backed up since the left, perhaps providing additional clues as to who the culprit may be (Important Note: All computer thieves love cat videos). For the most part, he’s a great guy, be when it comes to managing his digital property, you probably shouldn’t take after our Editor-in-Chief; avoid getting on a dangerous, unsecure schedule of “maybe every couple of months or so” for backing up what realistically constitutes a massive portion of your productivity, personal pleasure and professional performance. With services like Backblaze – at the prices they’re (barely) charging – there’s no reason why your stuff can’t always be in safe hands. For personal accounts, you can sign up here for a 15-day free trial. If IT Pros and Developers sign up now for the B2 Cloud Storage Beta, they get their first 10GB free. This article has been sponsored via Syndicate Ads. Thank you for supporting the sponsors who support SnapMunk.